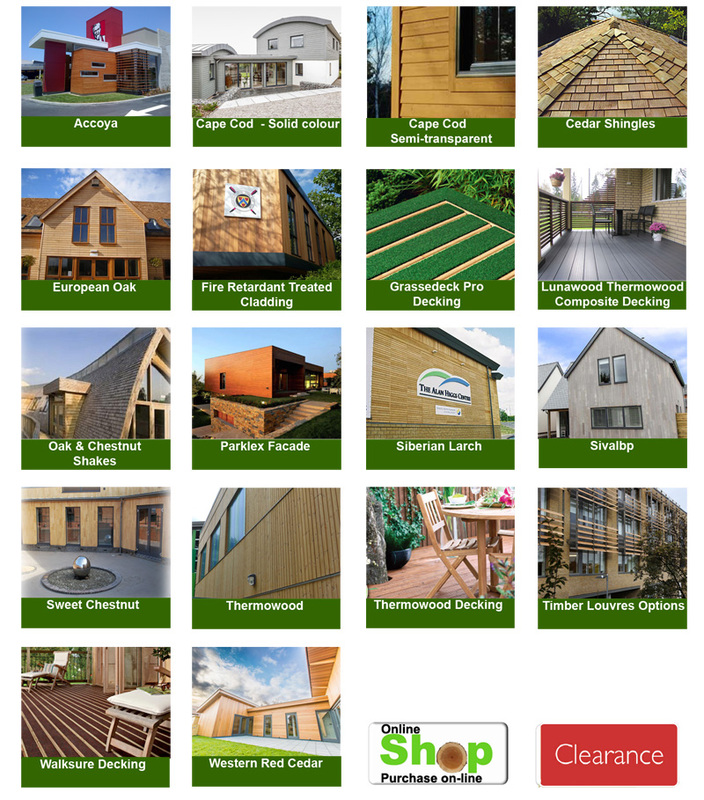 Vincent Timber are a specialist in the UK for the supply of timber cladding, solar shading and decking. With an unrivalled range of options enabling your vision to become a reality. Through our site we provide architects, construction companies, specialist installers and self-build/retail with advice, samples, gallery images, videos and technical downloads. Whether you deal direct with our friendly and experienced sales team or purchase from our online shop, you will receive a professional service and quality products. Vincent Timber, based in Birmingham in The West Midlands in the UK, are nationwide suppliers of a complete range of Timber, including Timber Cladding products for weatherboading, and are specialist suppliers of Western Red Cedar Cladding , Western Red Cedar Decking, Western Red Cedar Shingles, Western Red Cedar Panels and Louvre Blades / Bris-Soleil systems, Cape Cod - Finished Wood Siding, Western Red Cedar Shingles for roofing and cladding, Siberian Larch Cladding, Thermowood for Cladding, Decking, Louvre Blades and Brise Soleil, Sweet Chestnut for decking and cladding, Accoya ® sidings and facades, Accoya decking (ACCOYA ® and the Trimarque Device are registered trademarks owned by Titan Wood Limited, a wholly owned subsidiary of Accsys Technologies PLC, and may not be reproduced without written permission. 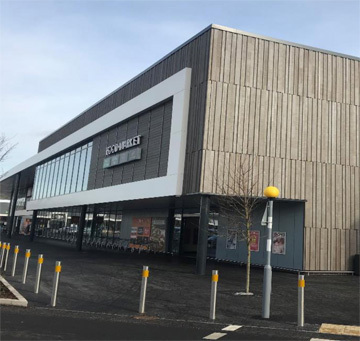 ), Timber Louvres, Home Grown Larch Cladding, Hardwood Cladding, European Oak for external cladding, Douglas Fir, Cumuru, Red Louro, Sivalbp, Parklex Facade, Cedar Shingles & Cedar Shakes, Oak Shakes and Chestnut Shakes. Vincent Timber are a major UK Timber Cladding supplier of weatherboarding, Western Red Cedar, Cedar Shingles, Cedar Shakes and Cedar Cladding on a nationwide basis. Vincent Timber can offer effective and permanent fire retardant treatments for both interior and exterior cladding timbers. 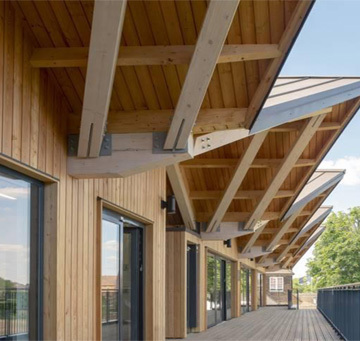 We can supply a leach resistant treatment for external use, meeting Euro Class B & C and for interior applications, Dricon is a fire retardant treatment for timber with BBA accreditation. Vincent Timber supply timber to a very wide range of users and we work very closely with Architects. Some of the main markets sectors to which we supply timber are the Building Industry, Exhibition Stand Contractors, the Packing Industry, the Trailer Manufacturing, Commercial Vehicle Bodybuilding and Haulage Industries where the vehicle bodybuilders use Phenolic plywoods, Metal Faced plywoods, slip resistant plywoods and keruing flooring. Vincent Timber is at the fore-front of the campaign to protect the environment as illustrated by the fact that the company was only the 2nd company in the UK to be awarded Chain of Custody for CSA and SFI to cover Western Red Cedar. Vincent Timber are members of TRADA and have appointed them as the company's auditors and advisors on their implementation of their "Chain of Custody". Currently, Vincent Timber has Chain of Custody for: FSC® (Forest Stewardship Council) PEFC (Programme for the Endorsement of Forest Certification) CSA (Canadian Standards Association) and SFI (Sustainable Forestry Initiative).